Piezoelectric PVDF and PVDF-TrFE film: produced in proprietary roll-to-roll process with consistent performance, low cost, and high d33 and d31 (>30 pC/N), thickness from 10 um to >200 um. Fast response to special request. High dielectric constant PVDF-TrFE-CFE film with K ~50 at 25 C.
Advanced Film Capacitors: High energy density with energy density 2~3 J/cc (packaged >30 kJ), High temperature film capacitors with operation temperature > 150 deg C (packaged >100 uF). High voltage dielectric, ferroelectric, piezoelectric test instruments with low cost. Provide test services on high voltage dielectric and ferroelectric materials, including routine high voltage test, dielectric test, and polymer morphology and property test. Provide various dielectric materials and ultrathin dielectric films for R&D: capacitors, printed electronics, flexible electronics, wearable electronics, loudspeaker and microphone membrane, etc. 17,000 sf chemical lab, film/ capacitor test facilities, pilot production facilities from thin capacitor films to prototype capacitors. Polymers with high dielectric constant for high energy density film capacitors. Electroactive, electromechanical polymers with strong response to electric field (EAP actuator). Design of special high voltage and dielectric test equipment controlled by LabView program. PolyK High Voltage Dielectric & Ferroelectric Test Instruments: Easy to use and low cost, sold to over ten countries --> we can help young scientists to set up a new lab with limited budget. In-house comprehensive characterization tools of polymer compositions and morphologies (DMA, DSC, FTIR). High voltage test up to 125 kV. 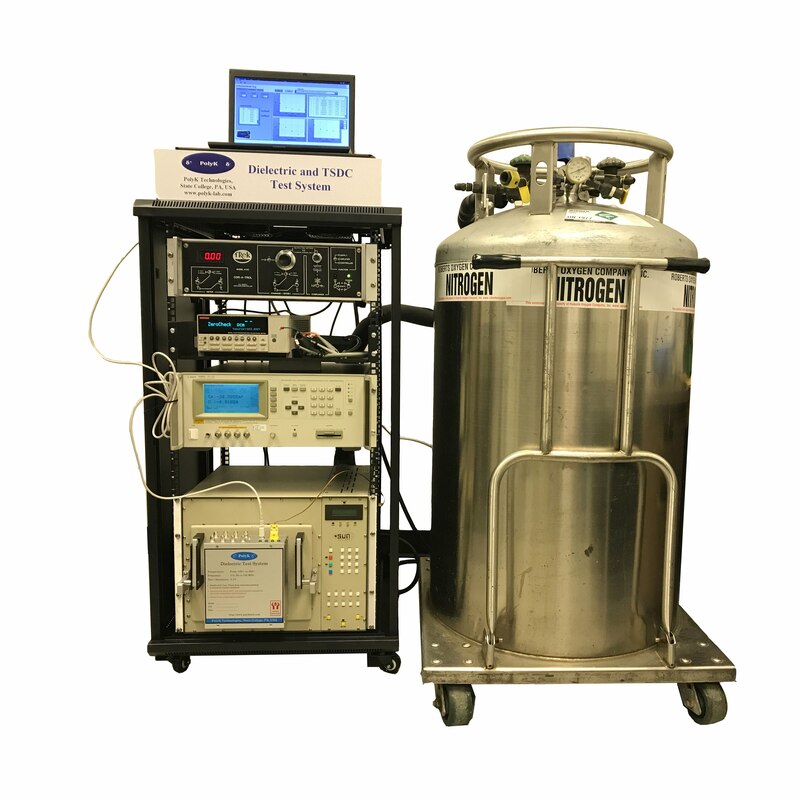 Dielectric test setup from pF to mF, from -150 deg C to >1,000 deg C.
Capacitor test systems for charge-discharge and lifetime under high voltage and various temperatures enabled by high power fast switches. 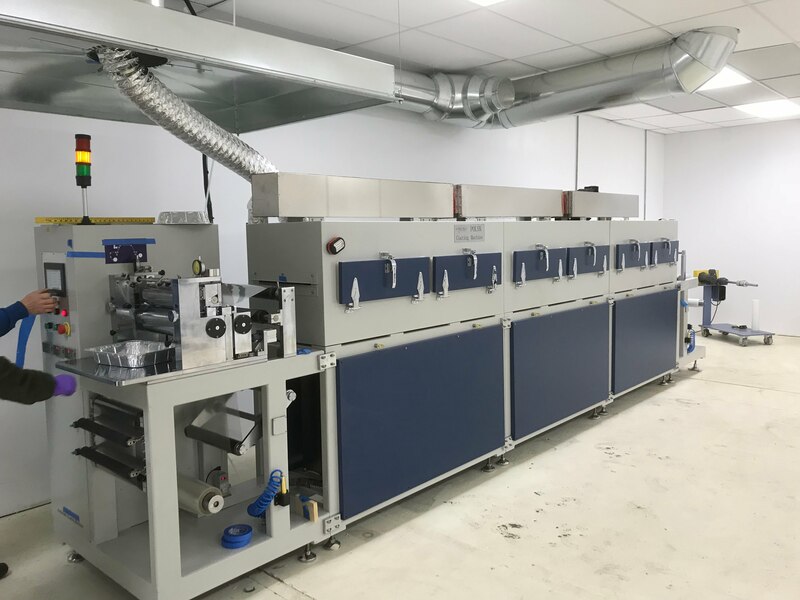 Pilot scale capacitor film production from 150 mm wide film to 450 mm film with in-line automatic thickness control and temperature > 450 deg C.
Roll-to-roll film stretching machine with width of 650 mm and temperature of 250 deg C. Specially designed for thin film <10 um.